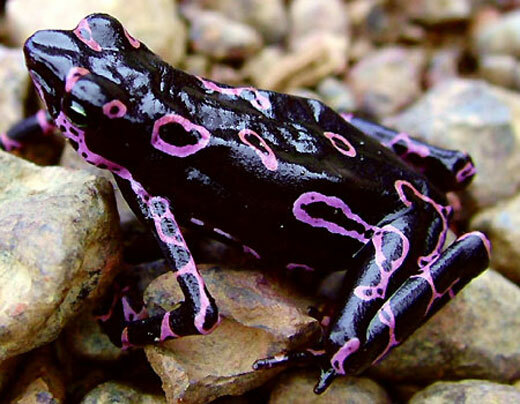 The atelopus frog is known by many names such as the clown frog or the Costa Rican Variable Harlequin Toad. Whatever you call the frog, it is a neo-tropical toad that was once quite wide spread living throughout Costa Rica and Panama. The species is listed as critically endangered and is thought to be living primarily in Panama today. There are many factors that have lead to the demise of this species including changes in the air quality, temperature, precipitation, stream flow patterns, and the spread of a deadly fungus all of which can be owed to global warming. The atelopus frog was historically found from the Pacifica and Atlantic slopes of the Cordilleras de Tilaran mountain range in Costa Rica to Western Panama, though this is no longer the case today. The species enjoyed living in the pre-montane and lower montane areas in addition to lowland sites that were located next to rocky streams in hilly areas from elevations ranging from six to 2,000 meters above sea level. Today the species is only located in one lowland site that is located along a stream and tributary on a coastal range in Costa Rica. Many think of toads and assume that they spend a lot of time in the water, but the atelopus frog only enters the water during the breeding seasons. The diet of the atelopus frog is mainly small arthropods, which can be found in abundance during the dry season but the frogs are adept at finding food sources during every time of the year. In fact, the frogs usually stay in the same place for long periods of time. They have no real reason to move as their bright colors usually signal to other creatures that they are toxic and shouldn’t be eaten. There is only one known predator of the species and that is the parasitic sarcophagid fly, which damages the frog by laying its larvae on the surface of the frog’s legs. The larvae then burrow inside of the frog and eat it from the inside out. The atelopus frog is critically endangered but there is still hope for the species. 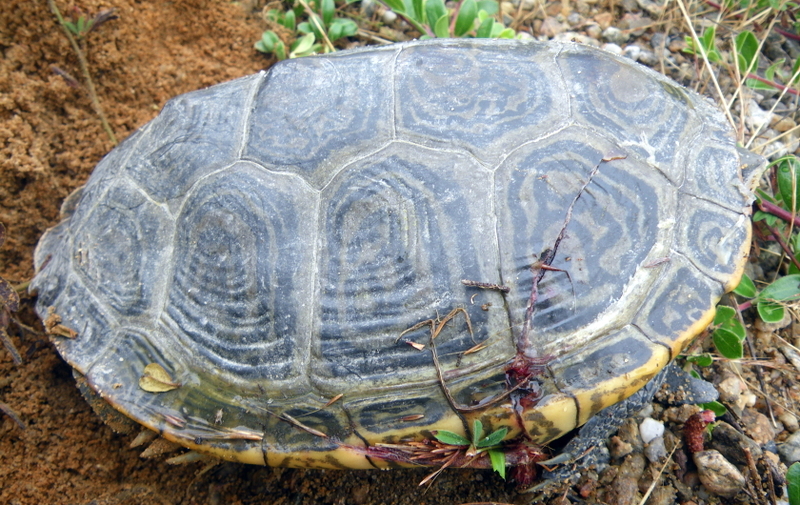 In 2007 there were a couple new species that were found, though they were found in limited numbers. These new species of the frog resulted in different colors than were seen before and really proved to be exciting for the scientific and conservationist groups with an interest. It shows that while there has been a decline in the species that there may be hope for it yet to come back to its former glory. Only careful observation, protection, and care of this species will allow it to be around in the future. everything that caused the demise of the frog was caused by global warming? And he used to live in elevations between 6 and 2000 meters elevation? And you say he lives by a stream on a coastal range now? Is that a higher or lower elevation then where he used to live? If it is lower, then he has moved to WARMER elevations. This would make your “global warming” hypothesis invalid. If is is higher, there may (I repeat MAY) be some validity to the gloal warming hypothesis, but I think it is irresponsible to lump this animal’s demise to global warming. He just may taste good to the locals. Hot air like these articles contribute to global warming more than does sunshine. nice comment ed it really made me think bout the frog!!!!!! the frog is becoming extinct what r we gonna do? how bout kill all the flies in the world!!!!!!!!!!!! o my gosh doug that is slendid idea i wish that the scientist would realize how to do help that frog with out poisining themselves i also wish they would breed faster and harder so that they can live cuz it will be a tragedy wen they become extinct cuz their wonderful bright colors are a sight to see!!!!!!!!!!!!!!!!! !